The Egoscue Method is about our bodies—yours and mine. We are different in height, weight, and possibly gender, but our common possession is the body’s inner power to heal itself and be pain free. Being pain-free takes personal effort and commitment, however. It doesn’t come from a pill bottle, a surgeon’s knife, a brace, or specially designed mattresses, chairs, and tools. The thousands of men and women who visit one of our clinics or affiliated therapists in the course of a typical year know it, or they soon find out, and we watch them transform their lives as they rediscover the joy and health that had seemed lost forever. While each client is dedicated to stopping chronic pain in one form or another, they are all taking the easy way out—the easiest, really. It does not involve high-tech medicine or elaborate physical therapy routines. You won’t need to buy special equipment or consult cadres of experts. You will, however, discover how the human body is designed to maintain its own health throughout a long lifetime. Episodes of pain are aberrations that can be easily treated if the body is permitted to do its work. Unfortunately, many of us don’t understand even the most basic features of this magnificent “machine”. It is important to note that, unless treatment addresses underlying musculoskeletal dysfunctions, pain relief can only be temporary. Nobody wants to hurt, and nobody should have to, but eliminating the pain symptom is only the first step. Without taking the next one, the muscles will continue to tell the bones to move in ways that violate the body’s design, and the chronic pain will return. The only product worth investing in is a fully functional musculoskeletal system. It’s not a luxury, but a basic necessity within everyone’s reach. Our approach to therapeutic exercise is based on fundamental anatomical, physiological, and biomechanical principles. By using the blueprint of the human body as a guide, the goal of the Method is to bring about a state of muscular balance and internal homeostasis. It is not a form of treatment that seeks short-term, symptomatic relief. A client’s symptoms dictate not an instant formula for treatment, but a beginning frame of reference based on each individual’s unique limitations. Our primary objective applies to everyone we treat: to remove the person’s structural dysfunction. The “blueprint” we speak of is one that is familiar to all health professionals: the standing normal anatomical position. In the sagittal plane, the axis of the hip, knee and ankle joints are directly aligned. The head sits evenly between the shoulders and the hips are level. In the coronal plane, the mastoid process should sit directly over the shoulder joint; the shoulder, hip, knee and ankle joints should be vertically aligned. In the transverse plane, there should be no rotation of the torso on a fixed pelvis. There should be no rotation of the humerus, femurs, or shank outside what is considered appropriate in literature. We believe that an individual whose body deviates from this design must do so for a reason, which, in cases not involving past trauma, is a muscular imbalance in strength and/or flexibility. Standing posture, for the sake of argument, is a static position. It provides essential information to the therapist in predicting what the body will do dynamically. These predictions can be confirmed and often reinforced by observing the client’s gait pattern. Postural changes impact each individual in different ways and at different rates. A person’s age, activity level, occupation, and weight are just some of the factors that help determine where and to what extent a person will be affected anatomically. The process begins with an alteration of normal joint mechanics. This alteration, or compensation, leads to a decrease in performance, which can be expressed differently depending on the limitations on the client. These mechanical changes often go unnoticed as the body unconsciously avoids the pain stimulus or the extra muscular demand, but eventually manifest as a variety of pathologies and disorders if allowed to continue. These can include, but are not limited to, inflammatory responses to overstressed tendons and bursa, non-congruency of joints surfaces, unequal loading of the intervertebral discs, laxity of ligaments, and muscle pain. These problems are not limited to the musculoskeletal system. As the foundation of the body is shifted from its most efficiently-functioning position, the nervous, circulatory, respiratory, and digestive systems can all be affected. The internal organs can become misarranged or compressed, neural pathways are disrupted or impinged, and venous and arterial blood flow can be compromised. Any one or a combination of these scenarios can contribute to a multitude of medical problems. When the Egoscue Method is presented with a symptomatic client, our initial assessment is markedly different from that of conventional medicine. As mentioned previously, the symptom never dictates our approach to therapy, but is instead regarded as a temporary limitation. The body is a highly integrated structure; in focusing on one area of pain or abnormality, we ignore the rest of the factors in a very large equation. Compensation that results from the individual’s dysfunction can appear as a symptom in another area of the body. The body also has a tremendous capacity for self-healing. To effectively facilitate that healing, we must first remove the noxious stimulus that has disrupted normal function. This is a major premise of the Egoscue Method. An Egoscue therapist does not administer “hands-on” therapy. The client is instructed in a series of personalized exercises and then expected to continue them on their own at home. Modifications are readily made whenever necessary. The home program prevents the client from developing a dependency on someone else while pursuing their own well-being. Instead, they assume responsibility for their own health. 1. The application of specific exercises to a given individual’s dysfunction. We have a catalog of over 400 different exercises. Only those exercises that apply to that individual will be of benefit. 2. The sequencing of the exercises within a given routine is critical. Each therapy session has a given objective. That objective can only be reached through a properly designed menu. The exercises must be sequenced such that one exercise prepares the body for the next and that a successive exercise does not negate a prior exercise. 3. The exercises are performed for an average of seven days. At this point we re-evaluate the client and redesign the routine accordingly. Often the exercises are of low demand and as the neuromuscular efficiency improves, the exercises become less effective. Therefore, the body must be put under an increased or varied demand to adjust to the changes that have occurred as a result of the prior routine, providing the means to continued progress. The Egoscue Method has had enormous success in helping people overcome their physical ailments. It is a technique that is attractive to many people because it is a commonsense approach to the human body. The individual can see and feel the physical changes that take place as a result of their efforts, associated with an increased feeling of confidence that accompanies the improved health that he or she is responsible for. Reduced cost and prevention are major concerns of healthcare. This therapy requires no special equipment or dependency on anyone other than you and, because we do not treat the symptom, but instead look to restore optimum function to the body, the implications for prevention are obvious. Pete Egoscue created the Egoscue Method to provide others with safe, effective, and permanent relief from chronic pain without prescription painkillers or invasive surgery. An anatomical physiologist since 1978, his exercise therapy program is based on the belief that most pain is the result of postural imbalances, and that the human body can heal itself if postural alignment is restored. 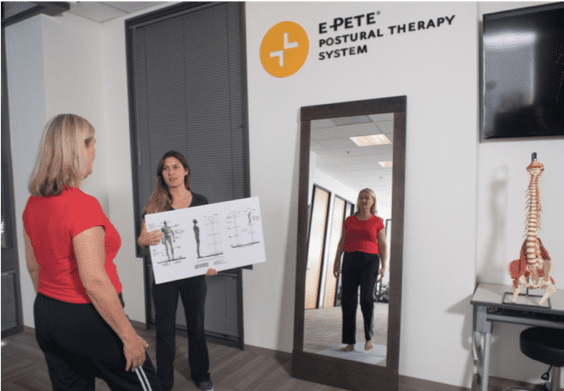 As the Father of Postural Therapy, Pete is acclaimed worldwide for treating chronic musculoskeletal pain attributed to overuse, injury, accidents, aging, and other conditions. He has worked with some of the biggest names in sports and business and is in demand as a thought-leader and public speaker. He is the author of several books, including Pain Free: A Revolutionary Method for Stopping Chronic Pain, The Egoscue Method of Health Through Motion, Pain Free Living, Pain Free for Women, and Pain Free at Your PC. Next PostNext Ask the Herbalist: How Do You Treat Sinus and Respiratory Allergies?